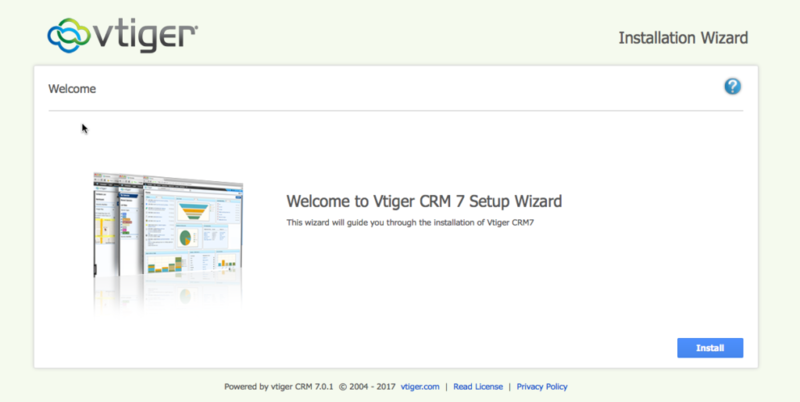 How To Download and Install Vtiger CRM 7 [TUTORIAL] - Updated! 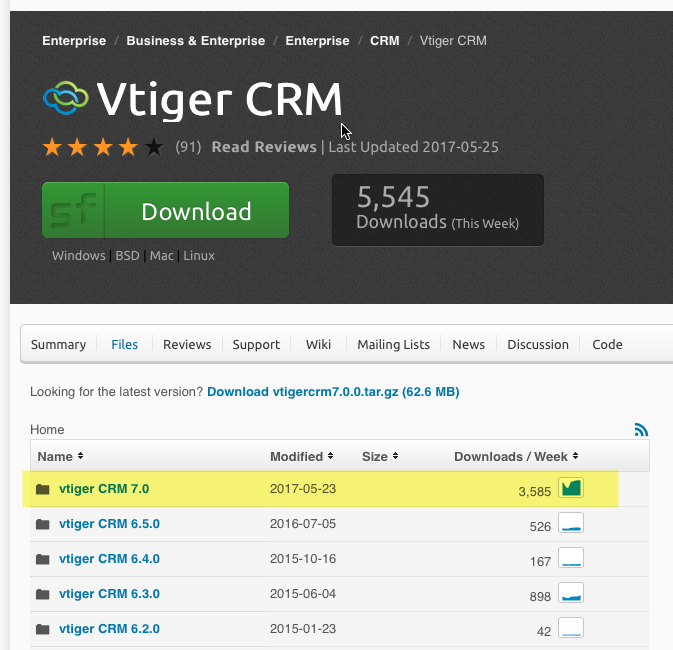 Vtiger Open Source CRM is considered the most powerful open source CRM solution available, having seen more than 3 million downloads to date. In this post, I will walk you through how to download and install vtiger 7 in a cPanel account (which almost every hosting has). So if you already have a hosting, it probably already has a cpanel on it, so follow every step in this tutorial. If you don’t, then you can install wamp server in windows on LAMP in Linux. Once you get to source forge, you will find a page as shown below. In here, you need to click on the files button (avoid clicking the download button so you can choose which version you will be downloading). 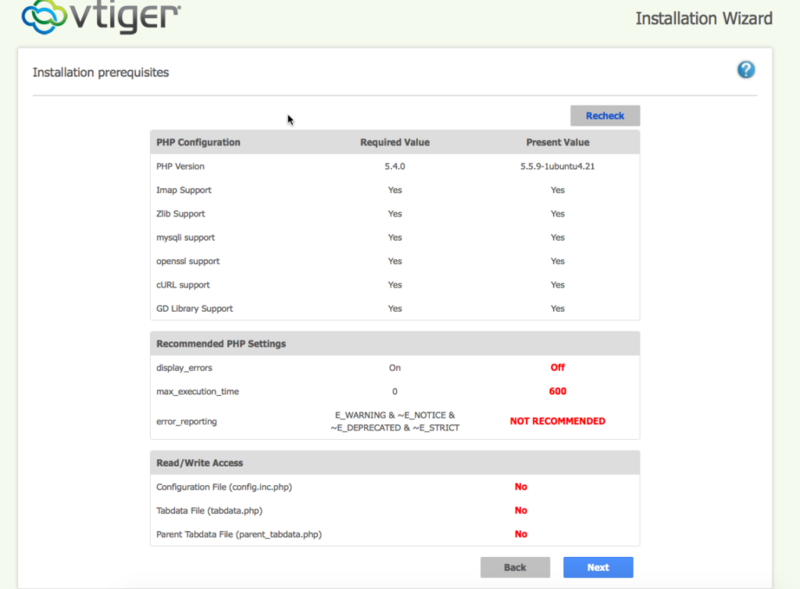 After clicking the files link, you will be redirected to the following screen where you need to choose which version of vtiger you will be downloading. Since we are doing this tutorial with vTiger 7, let’s go, just click the vtiger 7 link to download the product. By now, you should probably have a tar.gz file (compress file) on your computer. This is the file that we will be uploading into your hosting account later in this tutorial. To install vTiger, you need two things: A database to store your data, and the files that you already downloaded from sourceforge.net. 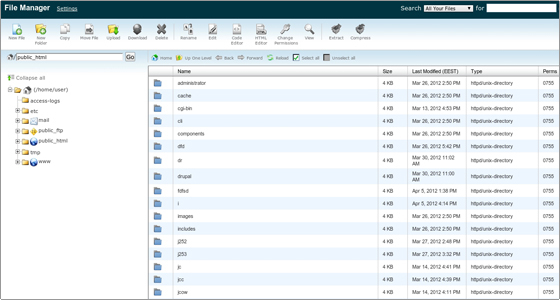 Let’s start creating the database, and as a second step, we will upload the files to the cpanel account. The first thing you need to be able to install vtiger is a database in which save your CRM data. To do so, log in to your Cpanel account and scroll down to your database section. Click on MySQL Databases, and search for the Create New Database section. Give your database a name. Make note of the name. 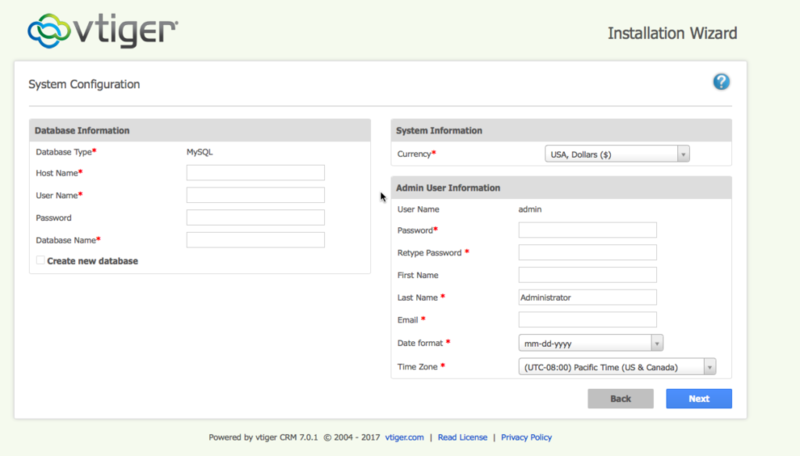 After creating your future vtiger database, you need to create a new user to write and read the data from the database. For security purposes, it’s best to create a new MySQL user for each vTiger database you create and not to use the server root user. To create a new user, insert your username and password. Write down to remember the username and password. Finally, assign this user to your database. Look for the section that says “Add User to Database” and select the user and the database. Click “Add”. 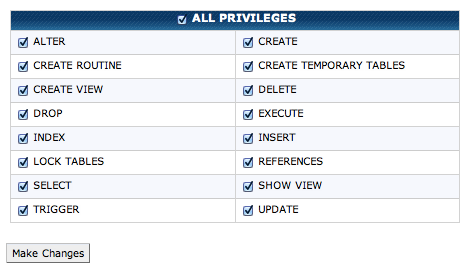 Make sure you assign all privileges to the user. 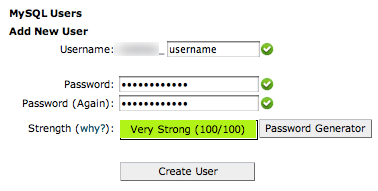 Once you have your new Database, take note both of the name and credentials. You will need to enter those during vtiger installation. Now that you have the database, you need to upload and extract the vtiger files. 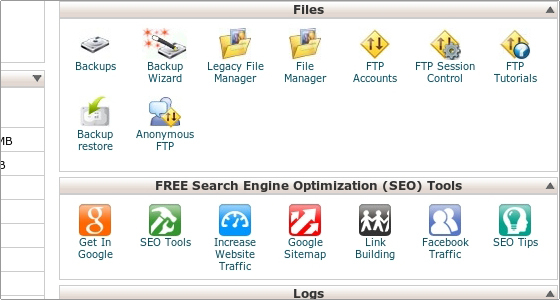 To do so, go back to the main screen in your Cpanel account, search for the Files Section, and click the File Manager Icon. You can start uploading files through File Manager by clicking on the Upload icon. Then click on the Browse button next to one of the top fields. Search for and double-click on the first file to upload. The upload will start automatically. 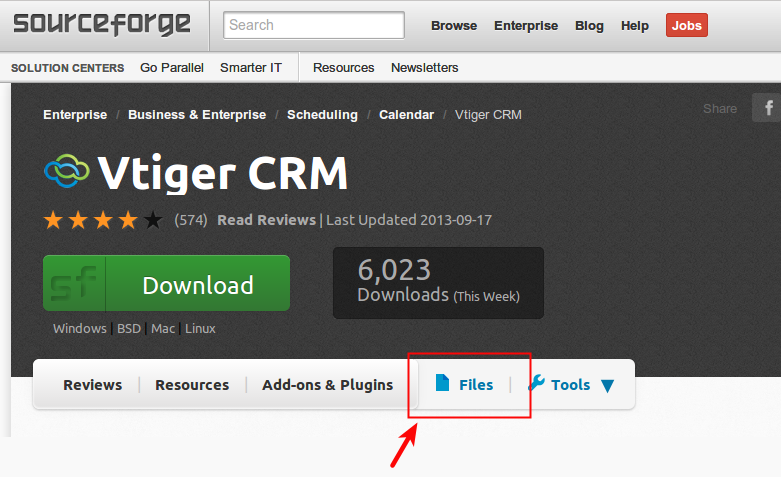 After unzip the file, you will see a newly created vtiger CRM directory. Now if you go to’ www.youdomain.com/vtigercrm ‘you will get the vtiger install splash screen. 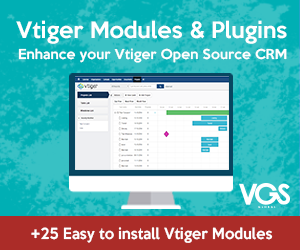 If you need to install vtiger in a subdomain like crm.example.com you need to create the subdomain in your Cpanel account, and then move the contents of vtiger CRM directory into the CRM directory in your file manager. Installation wizard has been completely revamped. Within only just a few clicks, you’ll be able to setup your Vtiger CRM account. The installation has been simpler than ever before. To begin with, click on Install button in the welcome screen. Read through the license agreement, and click I Agree to proceed ahead. Check your PHP Configurations and make sure that Required Values are in compliance with Present Values. Click “Next” to proceed with the installation. Provide Mysql credentials (The database name, users and pass we create in step 1) of your server under Database Information block. Also, configure default currency and personal information through System Information and Admin User Information blocks respectively. After providing appropriate values, click “Next”. You’re done! Within just a few minutes, your Vtiger CRM account will be provisioned and ready to use.